I guess I should not be surprised, but I still read the announcement with a sense of sorrow and yes, anger. The Girl Guides of Great Britain, which is the equivalent of America's Girl Scouts, have decided to be true to "myself" and develop "my beliefs," in place of their prior pledge to "love God." Why, when it has been their motto for the last 103 years? In their own words: Because they would rather appear more attractive to the secular world than remain faithful to the God of the Universe. That's in England, you say; why should we care? Because in this day of "global awareness" and "mutual identity", how long before an anti-God activist in this country decides to grab hold of this trend and run with it? And you might also be thinking, what difference does it make? Will this new oath really transform their effectiveness? I would answer that whenever you turn your focus away from God and towards yourself, you diminish the service you provide others. Let me explain. When one loves God, the inevitable outcome is a desire to serve, love others, humble ourselves and give. When you remove the motivation to love God, you are left with a desire to please yourself; it becomes "all about me". You see that in the new pledge of the Girl Guides ... "myself" .... "my beliefs". Let me ask you a question. Which group is likely to take up the causes of visiting the elderly in nursing homes; delivering food to the needy; or tutoring children in an illiteracy program? A group who recognizes the love of God and seeks to put others first .... OR .... the group that is interested in exploring their inner selves and developing their own personal views and opinions? Because that is exactly what being true to yourself and developing your own beliefs is! Without God front and center of any cause, you are left with selfishness.... I feel good about helping these people; Look at what we've done for them; They are better off because we helped them ... You are doing it for yourself, no matter how hard you try to convince yourself otherwise. The very definition of selfishness implies a lack of consideration for others, which is the exact opposite of the purpose of the Girl Guides, Girl Scouts, Boy Scouts and any other service organization! Britain's Chief Guide, Gill Slocombe, stated that the organization consulted 40,000 people before it made the change. She said that using God in the pledge “discouraged some girls and volunteers from joining,” and now the Guides could “reach out to girls and women who might not have considered guiding before, so that even more girls can benefit from everything guiding can offer.” My response to that? If loving God discourages you from being a part of an organization whose purpose is to help others, then I don't think you are joining for the right reasons. 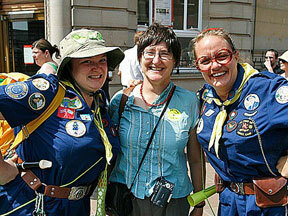 But after reading a comment by Julie Bentley, the new CEO of the Guides, I think I understand what is going on. She has called the Girl Guides the “ultimate feminist organization.” Right there, you can see what is at the heart of this organization. Wouldn't it have been better if she could have identified the Girl Guides as the ultimate SERVICE organization? It's apparent to me that the Girl Guides are not so much about serving others as they are about promoting and advocating for women's rights across political, social and economic levels. So what is the Girl Scout Law? And what is the purpose behind this 101-year-old institution? The official website of the Girl Scouts of America states that Girl Scouting builds girls of courage, confidence, and character, who make the world a better place. At least for now, the long tradition of putting God and country first, followed by helping others, and then focusing on developing strong character traits (instead of their "beliefs") still mirrors founder Juliette Low's original vision. Let's hope they can resist pandering to the secularists and the PC Police. I would hate to see another God-based tradition wiped from our national landscape. Galatians 1:10 "Am I now trying to win the approval of human beings, or of God? Or am I trying to please people? If I were still trying to please people, I would not be a servant of Christ." I pulled my daughter out of girl scouts about 8 years ago. I was a leader and found out that they were doing lessons on "cutting", sexuality, and for field trips they were taking the girls to planned parenthood. That was NOT the girlscouts that I knew and loved. I think the Girlscouts lost their way long before the Boyscouts did. So sad. 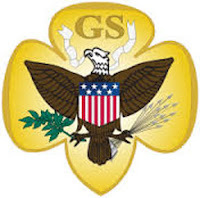 I was a Girl Scout myself, and I agree .... it is not the same organization as when I was a girl. But I guess it should come as no surprise that the secularists and atheists and moral relativists would jump at the chance to corrupt our youth through some of our oldest and most moral foundations. It is just a sign of the decline of our society. Score another victory for Satan.